Pope Francis: The Fiat 500L has his blessing. 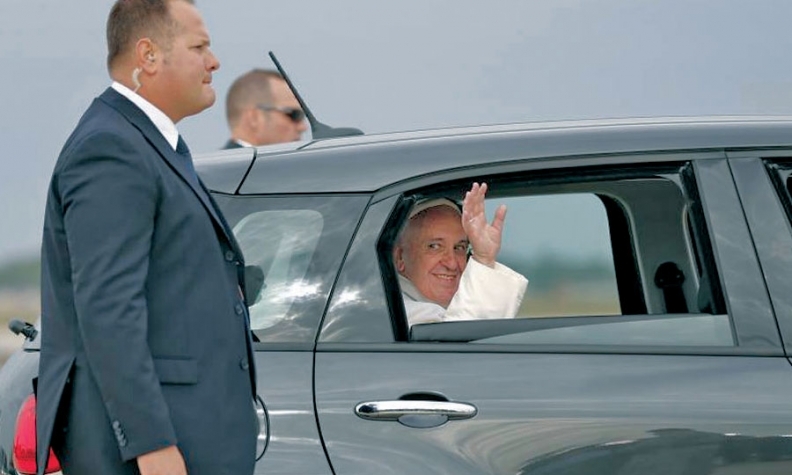 When Pope Francis climbed into the back seat of a black Fiat 500L last month on his first visit to the United States, interest in the diminutive, five-door family car appeared to surge. Indeed, one wonders whether papal infallibility extends to choice of vehicle. Online traffic looking at the 500L on Fiat's U.S. website more than tripled during the papal visit. Online mentions of Fiat on social media went through the roof as photos of the pope waving from the back of the Fiat became one of the week's blessed images. It's probably too early to know how much the sight of Francis in a Fiat will consecrate sales of the 500L in America, but results for September looked very humble. U.S. sales of the 500L were down 46 percent from a year ago to just 339 vehicles and up only slightly from August. The church might advise: "Don't expect miracles" and "patience is a virtue." Fiat dealers, however, are likely to return to their prayer beads.